Father son trips are oh so special. They are the seeds for memories that last forever. Teaching a child the values you want them to have only comes from quality one on one time and lots of it. Helping them gain an appreciation for the world of water and woods is almost a duty. Paul and Aiden travel and explore a lot. They fish hard and smart too and it was a pleasure to share a boat with them. This is one of the special fish of their lives. It hit the bait harder than anything Paul has ever battled and was more than full value for another 5-star fall ‪#‎musky‬ fight. The picture says it all. Thanks guys. 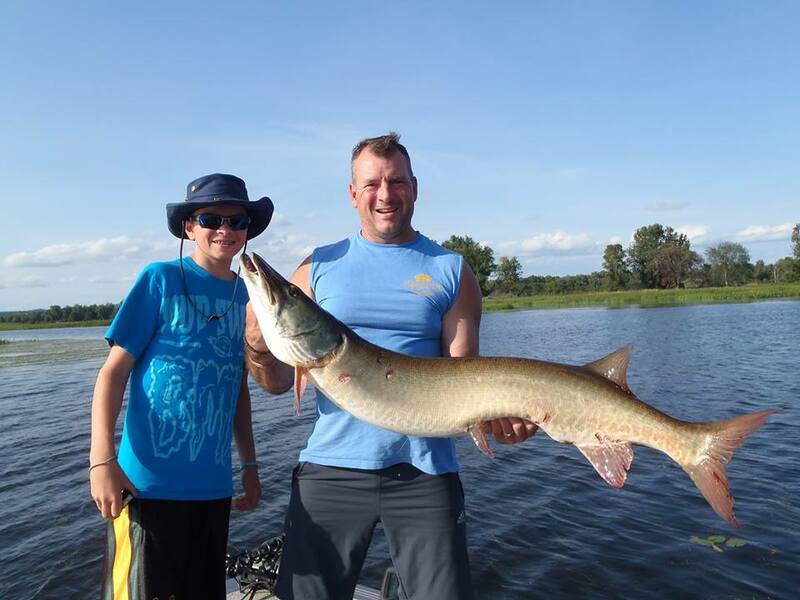 ← The Ottawa River Muskies LOVE the Boys from Pennsylvania.